Let´s see another feature of the new publishing extension. 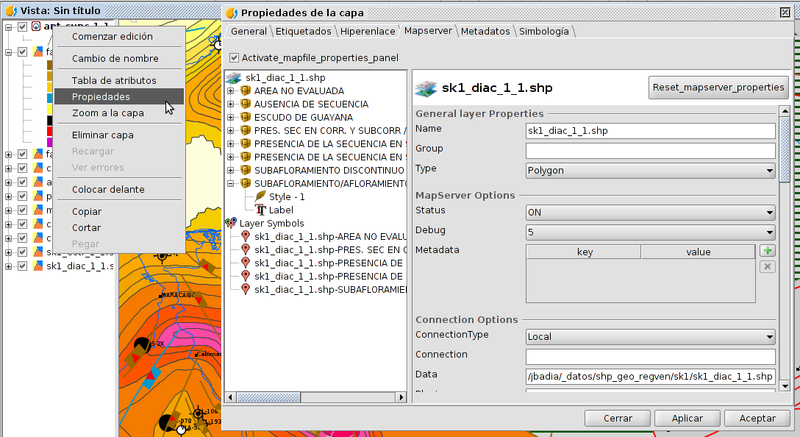 Sometimes, it can be interesting to define the parameters more precisely and adjust the specifications to the ones that MapServer offers. For that reason, some mechanisms have been created to be able to complete these characteristics through some forms. There are two access points. 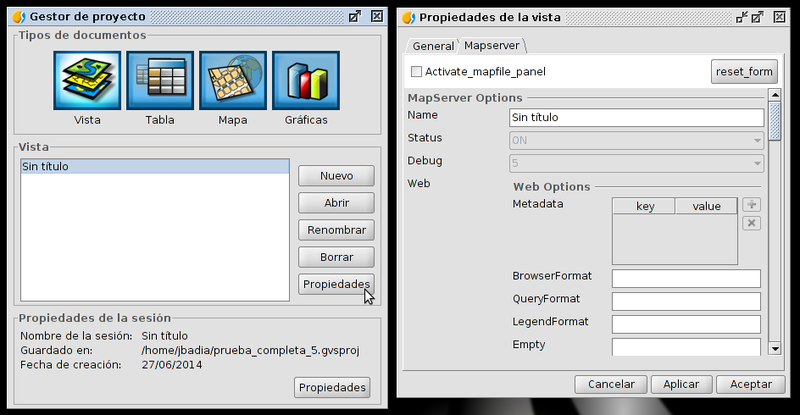 The first one is through the window View properties, which will define the characteristics of the Mapfile service (MapFile section). …and the second access point is with right click>’Properties’ in the layer(to define the MapFile attributes of each layer). There are similar ways to define the services of TinyOWS and MapProxy. In the next post, we will see how the Publishing extension allows the upload of the project previously generated in local to its final destiny in the server. This entry was posted in english, gvSIG Desktop, gvSIG development and tagged gvSIG 2.2, mapProxy, mapserver, publishing, TinyOWS. Bookmark the permalink.